We cannot thank Dr. Ian Dunbar enough for making these two books 'BEFORE Getting a Puppy & AFTER Getting a Puppy available for FREE for all those that wish to learn more about their pups. They really do contain a wealth of information and will assist you to set in place a solid foundation on which to build. Dr. Dunbar truly is a leader in the field of canine education and our sincere thanks go out to him, his wife Kelly and the rest of the team. Now do the very best for your new pup and make sure you go to one of ourPuppy Schools Recommended Puppy Schools. The first 16 weeks of your pup's life is a crucial one and nothing can compare to the solid foundation you can create by going to Puppy School and making sure your pup is exposed safely to as many different people and friendly dogs (that have been vaccinated) as possible. 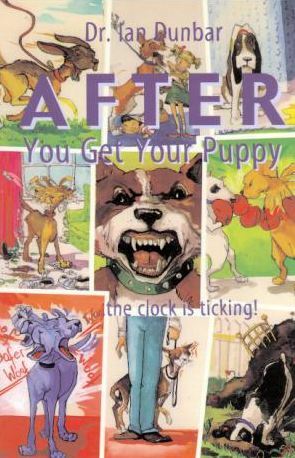 Please download and email this book to every prospective and new puppy owner that you know in order to help spread the that Puppyhood is the Time to Rescue Adult Sheter Dogs. 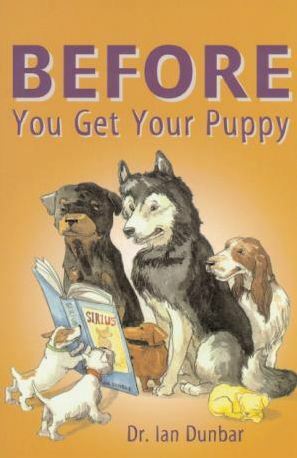 Please download this book and email it to everyone that you know who has, or is thinking of acquiring, a new puppy. If you are a veterinarian, dog trainer, doggy daycare or shelter worker, please email this book to all of your clients and colleagues and suggest that they too email the books to all their doggy acquaintances.